We're headed to LEGOLAND Brick-or-Treat this weekend and I wanted something fun and festive to wear. 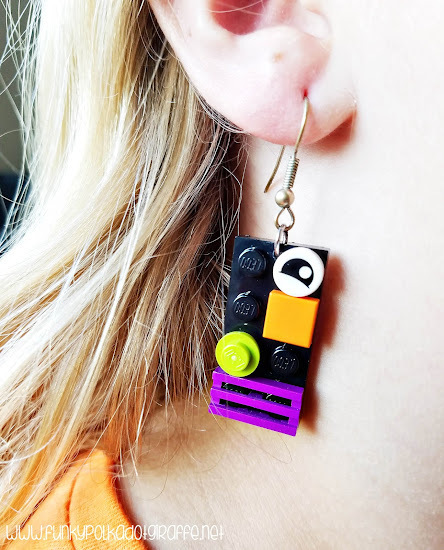 I'm not really a t-shirt person, so I decided to make some fun earrings that would be spooky and totally LEGO themed. So, I rummaged through our giant bucket of LEGO pieces and grabbed all the bricks that seemed in anyway related to Halloween. Shhh . . . don't tell the kids! 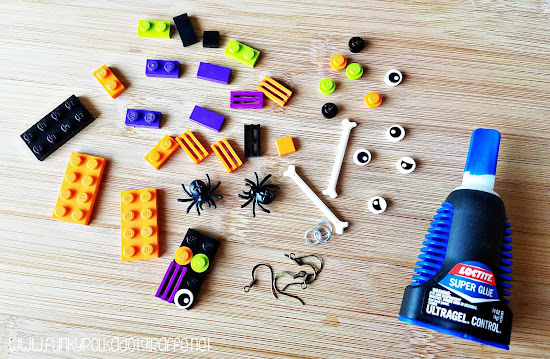 I found a lot of fun pieces - including the eyes from the Mixels and some spiders. 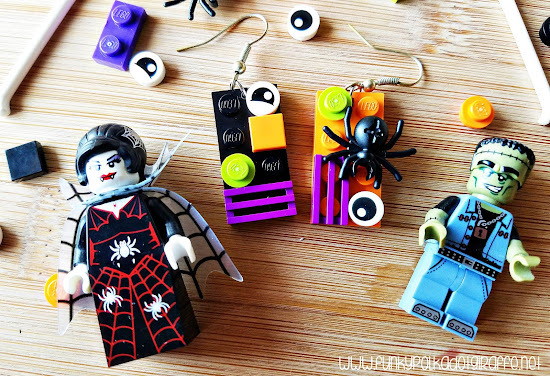 Then I gathered up my jewelry findings and got to work putting together my LEGO Halloween earrings. If you're brave, you can use super glue (aka THE KRAGLE) to keep your pieces permanently stuck together. However, I liked the idea of being able to change the earrings up every now and then, so I decided against using The Kragle and just put them together. LEGOs lock tight, so I'm not worried about the pieces falling off. 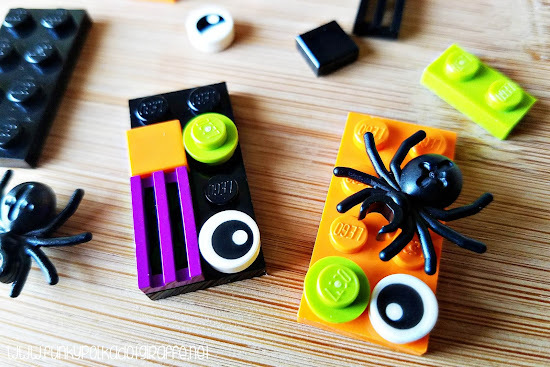 Now, to turn the LEGO plates into earrings and attach the findings, you're going to need to put a little hole in the top LEGO for the jump ring to connect through. 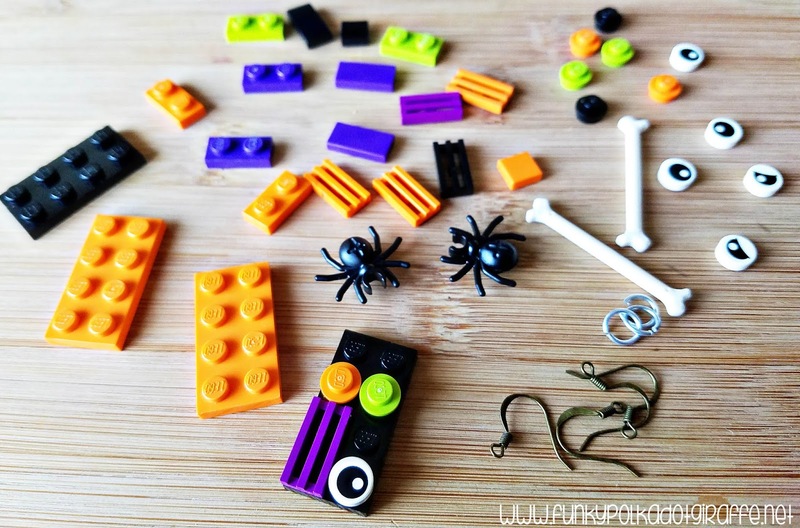 There are various ways to put a hole in a LEGO. 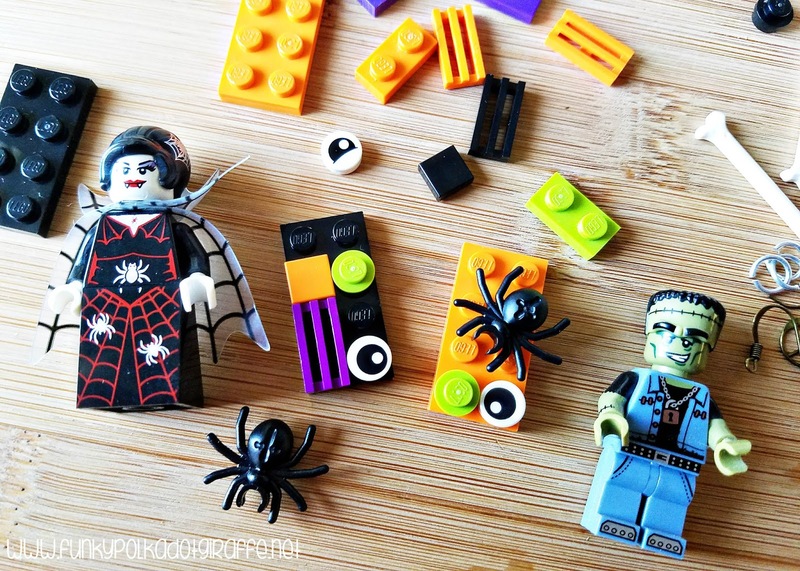 The best way is to use a drill with a tiny drill bit and zip - you're through the LEGO with no problem. If you don't have a household drill (or yours isn't charged like mine . . .) you can heat up a needle with a flame and punch it straight through. The hole might be too small, so move it around a little bit to get the hole big enough for the jump ring to go through. Now you're done! Put your jump ring through the hole you've created, attach your earring finding, close up the jump ring with pliers and you are good to go! 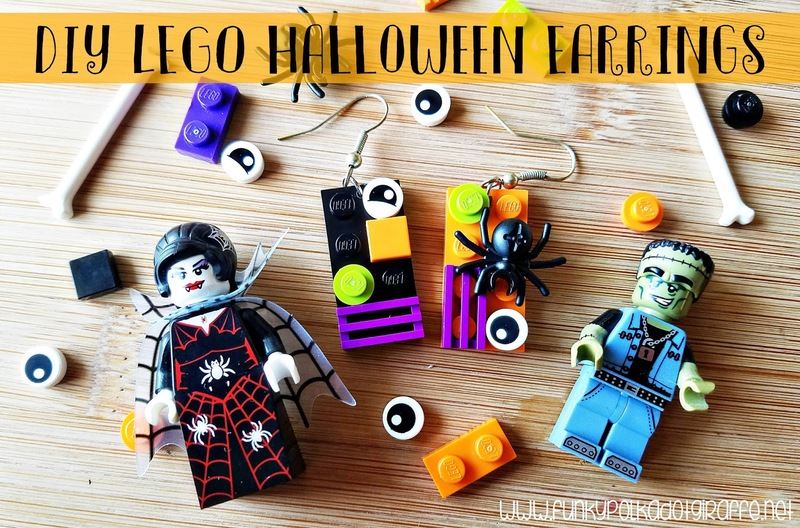 You have your totally original LEGO Halloween earrings and are ready to rock it at Brick-or-Treat or anywhere else you need a great Halloween accessory to complete your outfit. You might have to make two pairs if your daughter also things they are super cool. 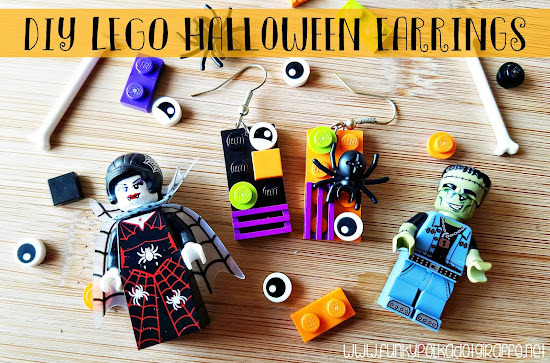 Good thing we have lots of LEGOs we can use to make lots of different LEGO Halloween earrings. 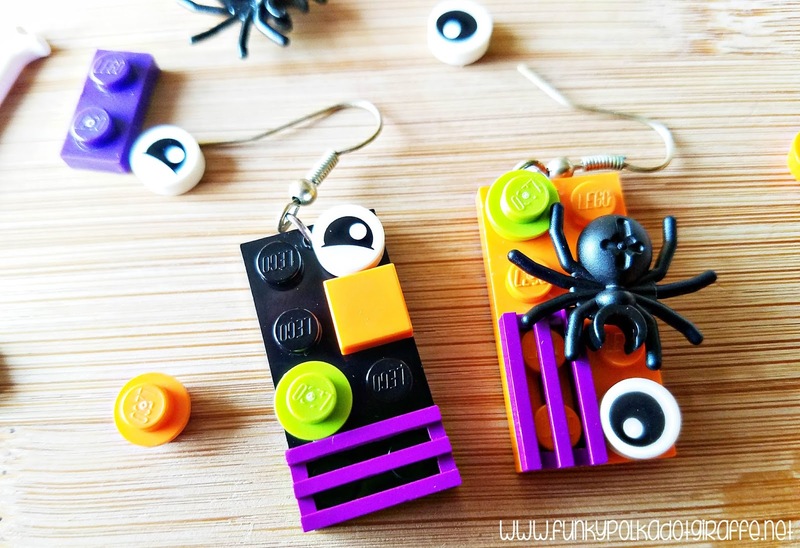 If you make some Halloween earrings I would love to see them. Have you ever made jewelry with LEGOs? What did you make?